Back in November 2014 when my wife and I first visited Brussels looking for a place to live, we used public transport to get around. In particular we tried to time journeys between the centre and the places where we were looking. It was on one of those flat-hunting expeditions that I first looked out of the window of a tram – one of Brussels’ pre-metro underground trams – and saw the tiger. Crouching, head turned back, tail lashing, stretched across one tunnel wall, standing out from concrete and conduits and graffiti tags. 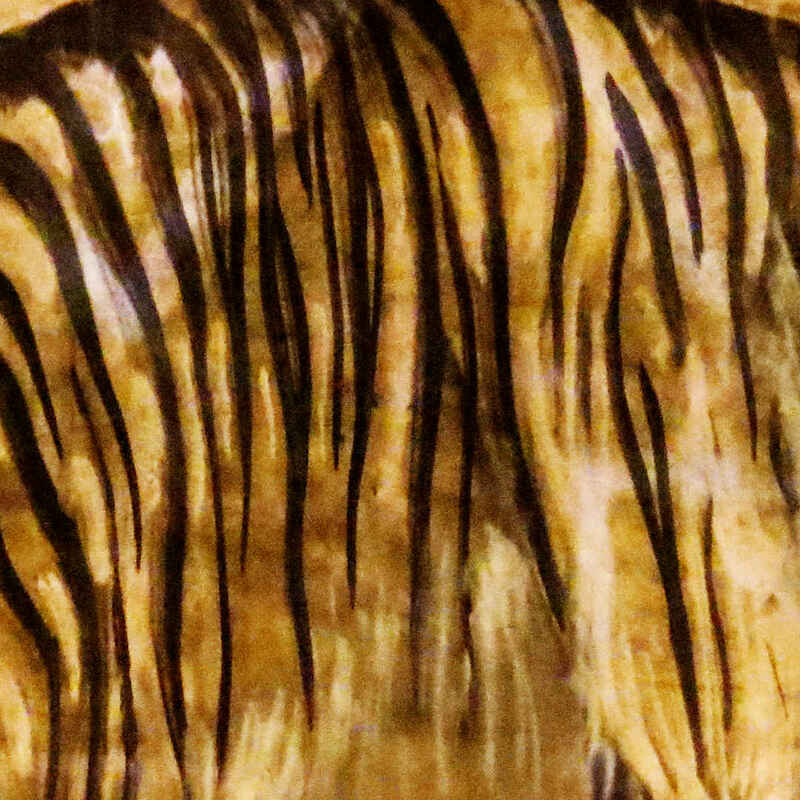 The tram was past in seconds and the tiger lost in the dark, but I could still see it’s stripes burning in my mind’s eye. I didn’t realise where it was of course, my concept of Brussels’ geography was rudimentary. (It’s not so much better now, though I believe it is improving.) But I looked out for the tiger when we returned to Brussels to live in January. Eventually I saw it again, and worked out where it was. The Lemonnier station is worth a visit in its own right. Constructed with four platforms, two catering for the pre-metro trams and two for the non-metro trams, it has places to allow travellers to cross the tracks between the platforms. I’d never seen that before in an underground station. The tracks curve away through wide tunnels so you can see points and junctions and perhaps trams held back by lights. There’s much more of a feeling of an above-ground (though over-bridged) railway station than an underground station. Somewhere else – I can’t now remember where – I have read there was once a plan to build a deeper metro line through here. It was abandoned, but if the French Wikipedia is to be believed, not till after the deeper station was built. Although the Brussels metro and pre-metro are relatively newly constructed – post-Second World War anyway – there is a longer subterranean history in Brussels. It may not be as extensive or as old as London’s, but there’s definitely potential here for a Belgian Neverwhere. Meanwhile, the Lemonnier station is a crossroads not only for the pre-metro and trams, but also for people passing through. Above-ground, just around here, is a principally working class district. It now has a fairly large immigrant community with especially many people from North Africa and the Middle East. They use the station to get to their work or schools elsewhere in the city. Many people from the western and southern suburbs also pass through here. One stop south of Lemonnier is the Gare du Midi pre-metro station that serves Brussels’ largest mainline railway station. It daily brings in commuters, and visitors from Paris and London, some of whom change trams here. 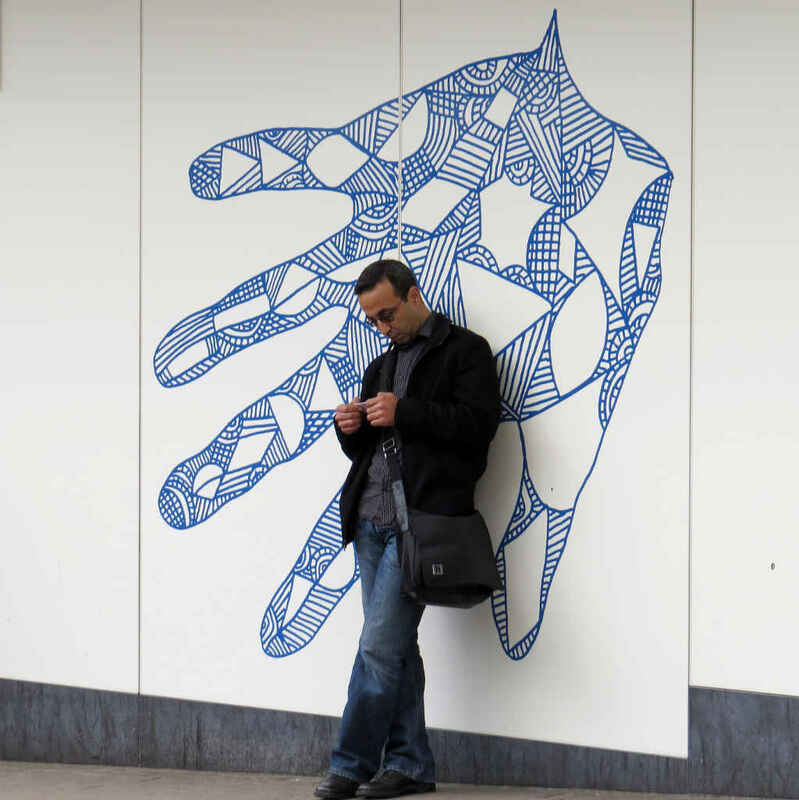 It is presumably this international connection that inspired the Brussels metro authorities to invite Hamsi Boubeker to decorate the station. Boubeker is an Algerian-born Belgian citizen, an artist and a musician. 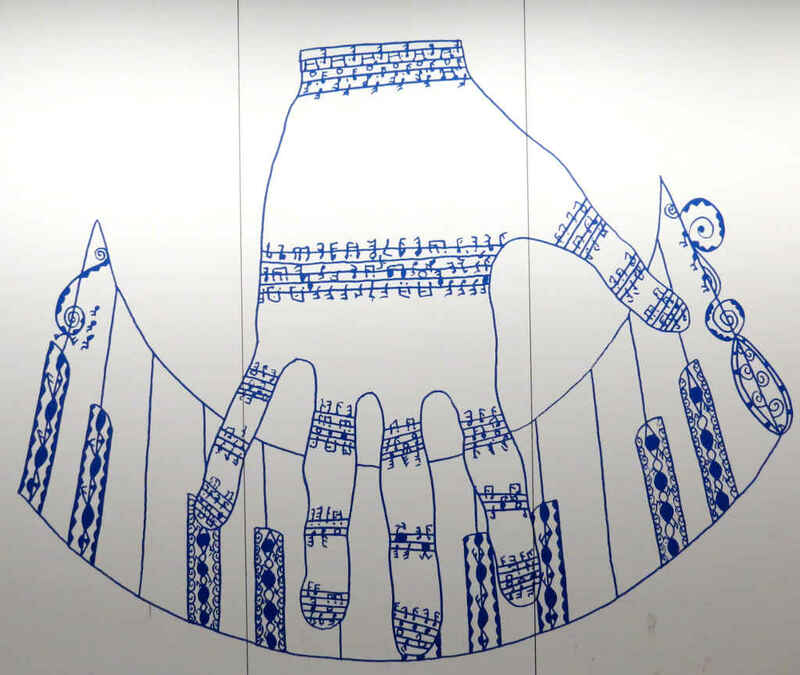 The walls of the station are decorated with his Delft-inspired tiles showing women’s hands patterned with henna tattoos. 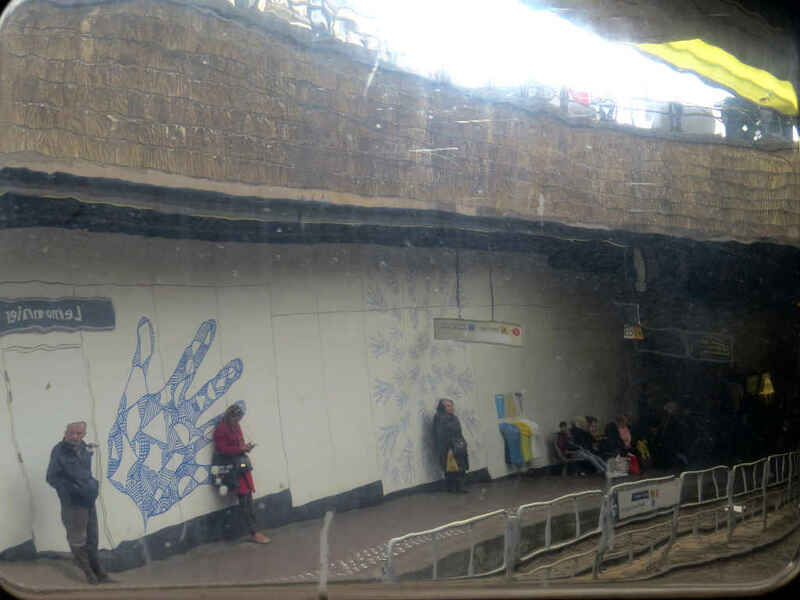 I have occasionally (twice now) seen women with henna-decorated hands on the trams passing through the Lemonnier station. The tradition Boubeker illustrates is alive and well, which I find appealing. 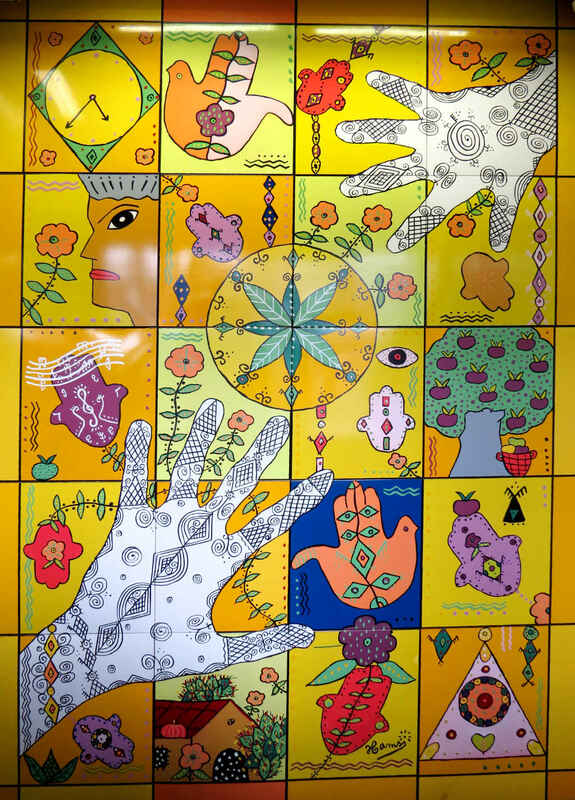 If I’ve understood the Brussels metro website correctly, from 1994 an international project called Hands of Hope (Les mains de l’espoir) collected images of henna hand tattoos from 87 countries around the world. This collection then formed the basis of Boubeker’s decoration. The website notes that “for the artist” an open hand symbolises peace, friendship, openness and tolerance. Henna tattoos seem to have originated in north Africa so I imagine it’s a comfort to people far from home to find a little piece of the Maghreb here, underground in Brussels. Having found out so much about Lemonnier’s official artist I was curious to see if I couldn’t discover a little more about the Master of the Lemonnier Tiger. I also wanted somehow to get a picture of it. 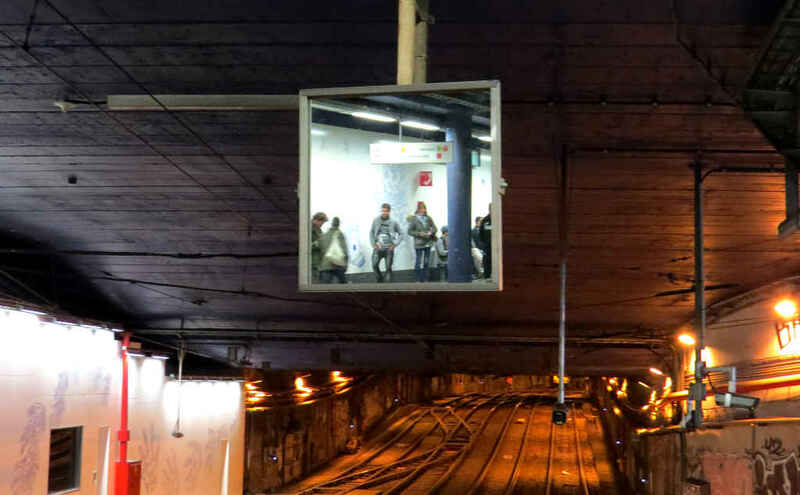 I wandered about the station taking pictures of Hamsi Boubeker’s art (and a few candid photos of some of the passengers passing through or waiting for trams). Still, I couldn’t find a good, safe, legal place to stand to get a picture of the tiger. It is simply too far along the tunnel. 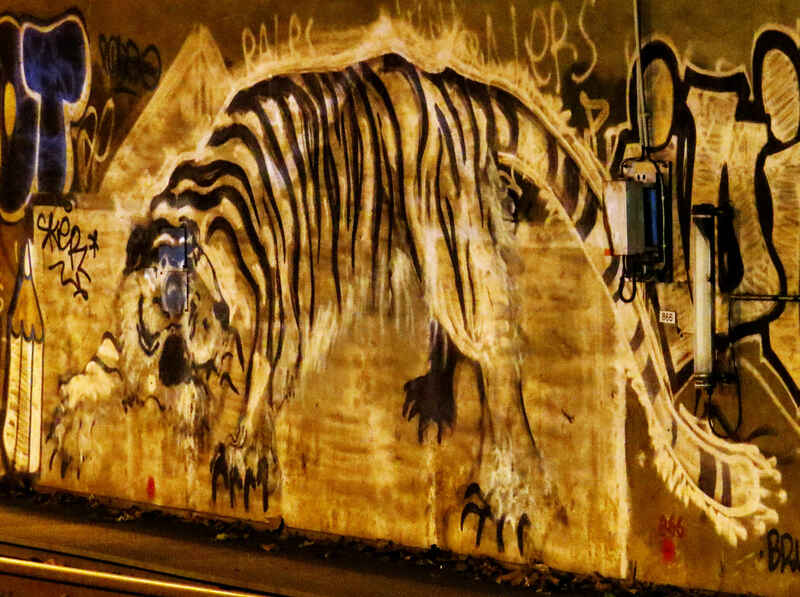 Perhaps whoever painted the tiger has also painted other, more accessible graffiti elsewhere? I know that several Brussels graffiti artists have produced multiple works, some of which survive for weeks or even months. But I’ve not yet seen anything that looks like it’s by the same hand as the tiger. Eventually, I asked for advice on the Belgium section of Reddit. I got some encouragement from a couple of users. They pointed me in the direction of a Facebook page dedicated to Brussels street art. I had hopes, especially as there was an e-mail address, but no. Whoever is on the other end of the address wasn’t interested to reply, so that was a dead end. Another suggestion from Reddit was to try and take a photo from the window of a stationary tram. Apparently there was once a tram that terminated here. But no longer. And, when you want it, a stationary tram is surprisingly hard to come by. On the opposite side of the tunnel from the tiger there’s a path along by the side of the track. It leads from the platform and a gated barrier. The gate is usually locked (I’ve pushed it) and carries a warning sign: “20,000 volts!” But one day when the tram I was travelling on passed through Lemonnier, I glanced at the barrier and saw the gate was open. I had an errand and couldn’t get off the tram there and then, but on my way back I disembarked and saw the gate was still open. There’s no obvious No Entry sign, just the warning. I take out my camera and pass through the gate. I walk along the path and into the tunnel until I am almost opposite the tiger. Here I find I’m standing in front of highly reflective window. I’m fairly sure this is one-way glass. Not really knowing if anybody is watching me from behind, I wait for two trams to pass, line up my shot and take four pictures with different exposures. There’s no point in using a flash. I’m too far from the tiger and besides I don’t want to inadvertently blind any tram drivers. I try to hold the camera as steady as I can and hold my breath when I press the shutter release. Then I carefully walk back to the station, up onto the platform and board the tram that’s just pulled in. I won’t say that I felt like I’d been stalking a real tiger, but I certainly got an adrenaline kick. I had to sit still and breath deeply for several minutes. Then of course came the inevitable disappointment when I saw the pictures on the computer screen. Even the best one doesn’t really do the tiger justice. 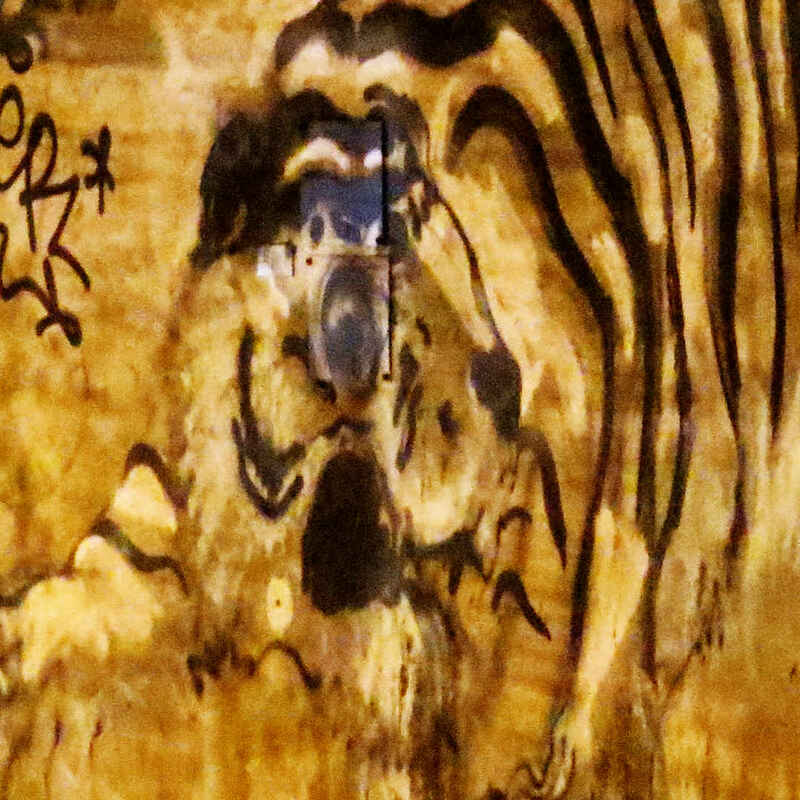 It’s the picture I have, and I publish it here, but perhaps it’s better anyway just to glimpse the tiger in the tunnel. Acknowledgements: Thanks to Reddit Belgium users xor2g and utopiah for advice and encouragement as mentioned in the text. I originally published this on my separate Stops and Stories website. Transferred here, after some polishing for SEO, 16th February 2017.